OutReach is a client database designed to be used by charitable and non-profit organizations who provide financial and material assistance to their communities. 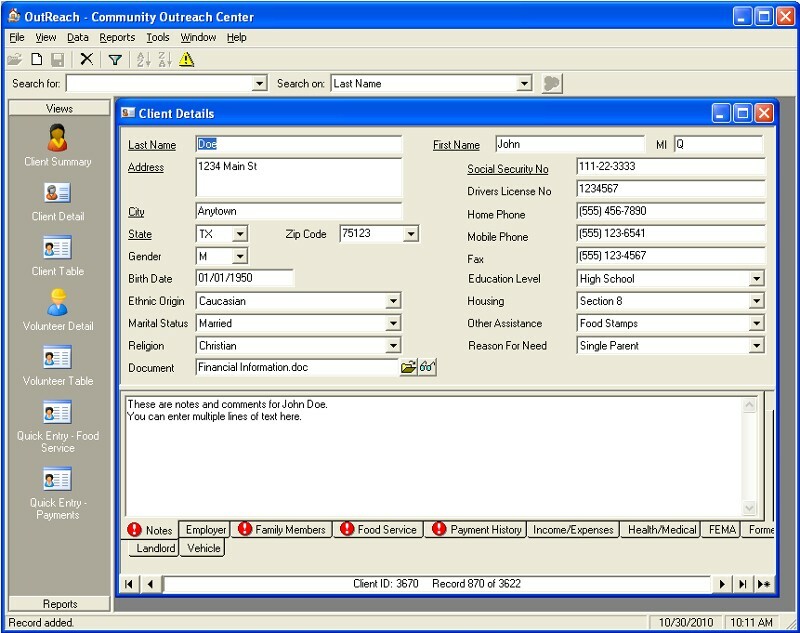 With OutReach, you can record and manage information on your clients and volunteers, track assistance provided, generate reports, print address labels, and more! Install the update package for v1.6 above. Locate the updatedb.exe file in the directory where you installed OutReach. Click the Browse button and navigate to and select your OutReach database. Click the OK button to update the database. Store demographic information on clients that you serve: name, address, phone, marital status, birth date, ethnic origin, social security number, drivers license number, education level, housing type, and employment information. Store information on client family members. Track client grocery/food assistance history. Track client financial assistance history. Track client monthly income and expenses. Summary, detail, and tabular views available for all client data. Record information on volunteers to your organization. 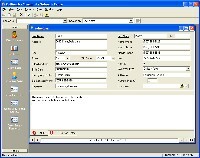 User-defined tables allow for easy customization for many data fields and prevent typing mistakes. Export client or volunteer data to a file for import into another application, such as Microsoft Excel. Powerful filtering capabilities allow you to filter client data by almost any field or combination of fields. Print client address or name labels. Attach a document to a client or volunteer record. Click here for many more screenshots. Screen resolution: 800 X 600 or greater. A screen resolution larger than 800 X 600 is preferred and works best. Error -2147024770. Automation error. The specified module could not be found. then you may need to install the latest version of the Microsoft Data Access Components (MDAC). Download the MDAC for free here, install it on your computer, then restart your computer. 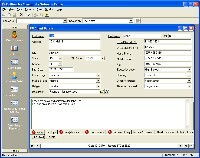 As of February 1, 2011, the price is $89.95 (USD) for a single user license. Free 30-day Trial. Try a fully functional version of OutReach free for 30 days. At any time during or after the free trial, you can purchase a license which will unlock the application for your full use beyond the trial period. Simply click the Buy button on the trial version dialog window, and our software purchase wizard will guide you through the steps to purchase a license for your software. A valid credit card is required. Ten Mile Software will donate 10% of the proceeds from the sales of our OutReach product to the Lancaster Outreach Center, an interfaith social service agency based in Lancaster, Texas. LOC is committed to relieving suffering, restoring dignity, and promoting assistance and support to the people of southern Dallas county. 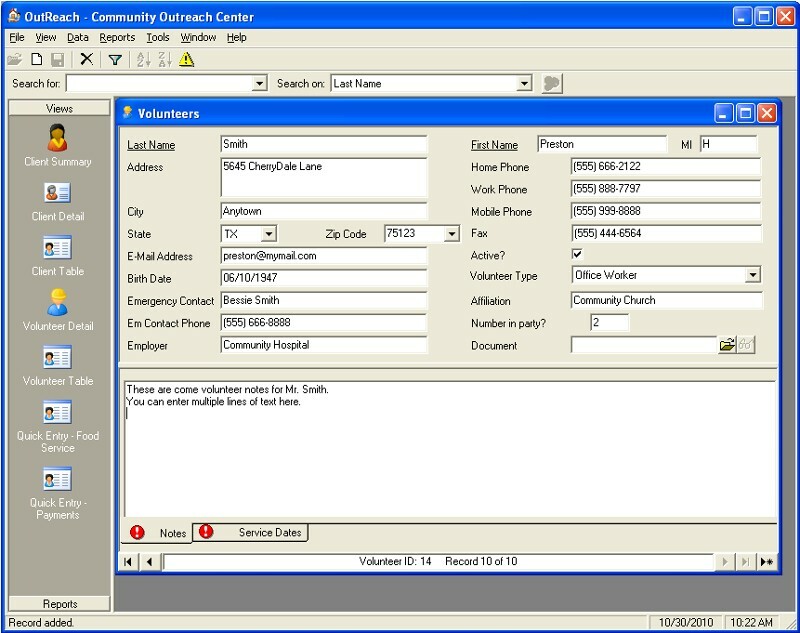 OutReach is currently in use by the Lancaster Outreach Center as their primary client database.